If you are looking for an instrument that test thin objects, so, this is something that you need. This product is specially designed for testing the thin work pieces. 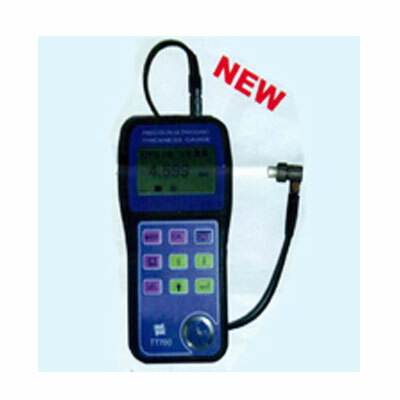 Such small and portable instrument is widely used in industrial sectors to measure the thickness of the material. India Tools & Instruments Co. is the principal Ultrasonic Thickness For Thin Items Manufacturers, we deliver quality inspected products to our clients to maintain our high quality standards. This product is easy to use and comes with a quick installation process. We have a wide range of industrial products and being the best Ultrasonic Thickness For THIN Items Manufacturers, Suppliers, and Exporters, we offer after sale support to our clients. Our products will provide you the accurate results and help you to increase your productivity. Our team focuses on the design and the manufacturing of our products to avoid any kind of inaccuracy. To know more about our product range, call us or drop us your inquiry. Especially suitable for testing the thin workpieces, I-E testing mode and E-E testing mode, Sound velocity testing and single point calibration, Sound alarm and differential mode are available, Chinese/English, mm/inch are selectable, Data store, view and delete, Result can be print out and transfer to PC.